Once the lead teenage noona-killers in the industry, Teen Top has since grown into a successful K-pop boy group. Over the years, they’ve traded some of their flower boy sweetness for heavier dance tracks that showcase their stage stamina and choreography prowess — we’re not complaining. Their career in the industry has brought about a decent number of singles to whet our appetites. To top it all off, they’ve recently fired off their first, large scale international tour, much to the joy of Angels everywhere. With the completion of the North American leg of their tour, it seems appropriate that a little focus be placed on their current B-side repertoire. 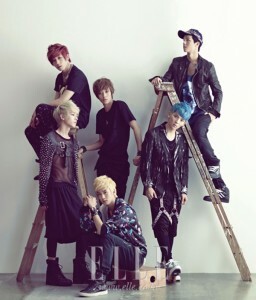 Welcome to this edition of Side B and read on for sound bites and musical nuggets from their most recent EP, Teen Top Class. “Don’t I” slows the pace down a little – it isn’t a dance track – but it doesn’t lose that funky hip hop beat that is consistent throughout the EP. The fast-paced talk-singing in the chorus is addictive and there is a good balance of rap and vocals. The backbeat encourages the listener to groove but it definitely isn’t a romantic song – the delivery of the lyrics is too gruff for that. It’s the type of song you’d listen to while getting ready to go out for the night, or simply one that you’d enjoy at a lounge bar. If “Don’t I” is a ‘getting ready’ song, then “Oh! Good” is a song you’d dance to while you’re out on the town. With strong electronic back music and high synth beats, “Oh! Good” evokes the feeling of a night club – right down to the lyrics that say “Friday night!” The build-up of vocals as well as the slower beat that leads up to the chorus breakdown, are the most pleasant parts of the song to listen to. The chorus itself, unfortunately, can get a little grating due to the repetition of the whistle-pitched background noises. However, if you can get past that, “Oh! Good” is a high-energy song perfect for late-night hysteria. “Date” slows things way down and is the one romantic song on Teen Top Class. As much as I enjoy dance music, it is sort of a shame to waste the vocals of Niel and Chunji by making an EP that only tailors one song to their voices. It’s difficult to make use of vocalists when the backbeat is overpowering, and when the tempo is meant for fast choreography. This is the case with basically every other song on Teen Top Class. “Date” feels like a breath of fresh air on the EP — even if it has a pretty standard boy band love-song formula. It’s good that they kept their love song a little upbeat, though, because if “Date” had been a full ballad it would’ve been out of place on an otherwise fast-paced line-up. The final song is “Rock Star,” featuring Maboos, and it ends the EP on a high note. This is the rap line’s time to shine and, surprisingly, they do. CAP has managed to sully his own reputation on more than one occasion but this CAP-Joe collaboration is actually insanely catchy. Their rapping isn’t anything ground-breaking but it has a steady flow that follows a good beat. The pick-up of tempo around the chorus is the perfect thing to keep the song from getting boring. The English is also used very well in this track. It punctuates the Korean phrases with a slight change of sound and it gives international fans something to easily sing along to. This song wins the award for my favorite B-side on the EP. 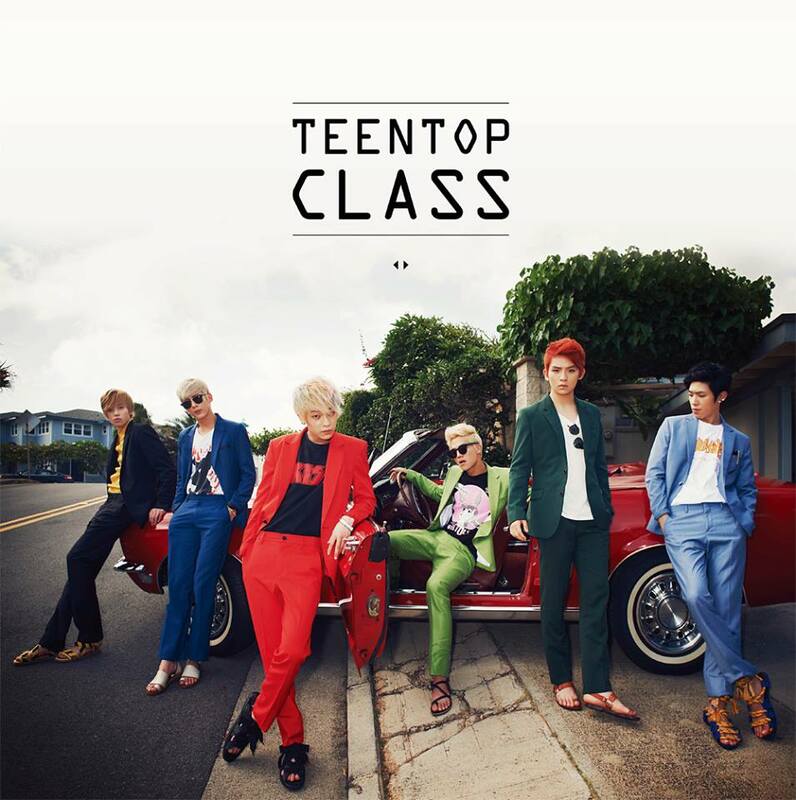 Teen Top Class is a solid EP and it shows a change in Teen Top’s musical direction. Their usual innocent boy band style has evolved into something more intense and mature, but their music retains the catchiness they’ve been known for. This EP is energetic most of the way through, which makes it the perfect record for a weekend out or for a seriously awesome concert! None of the aforementioned songs are boring, despite that place as B-sides. 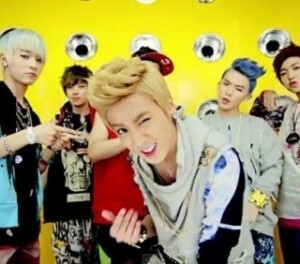 Readers, have any of you attended Teen Top’s international concerts? Or do you have plans to? Let us know how it is or how it’s gone down!